chirp is a one-of-a-kind wireless beacon designed specifically for the outdoor adventures of geocaching. Affordable, durable and waterproof, chirp can communicate with, and be programmed by, any compatible wireless-enabled Garmin handheld (sold separately). chirp stores hints, multicache coordinates, counts visitors and confirms the cache is nearby. chirp is password protected and has a battery life of up to 1 year. 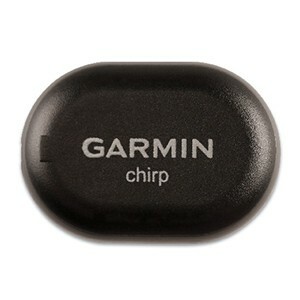 chirp can be programmed by any compatible wireless-enabled Garmin handheld to store geocaching hints and other information. When other geocachers arrive near your cache, they’ll be alerted that the cache is nearby, and then they’ll be able to access the hints you’ve loaded into chirp. And when you return, chirp will tell you how many visitors have been to your cache. With chirp, setting up and maintaining a multicache has never been easier. Using your compatible Garmin handheld device, chirp automatically transmits program coordinates so other cachers can find each stage of your multicache. Or if you’re on a multicache, chirp lets you download coordinates. So there’s no need to manually enter numerous sets of complex coordinates – there’s just one simple touch and you’re on your way to the next stage. chirp was designed by geocachers, so it’s built to take the rigors of the outdoors. Plus, chirp is password protected, so you’re the only one with programming powers. chirp has a battery life of up to a year and the battery is easy to replace, plus chirp features a cache-perfect, small size and is durable and waterproof.